It was reported this week that Dallas, Texas, is now one of America’s most philanthropic cities. It seems that Dallas’ charitable streak grew notably in the years after the 2008 recession, in stark contrast to other major American cities, where philanthropy declined or stagnated. While there are surely many factors that propelled Dallas — and, as it happens, the whole of Texas — to this position, many commentators have remarked that Texan generosity is almost certainly connected to the fact that Texas is one of the most religious states in the United States. Although this may be true, the charitable patterns of people who believe in God and belong to faith-based communities significantly surpass those who do not. 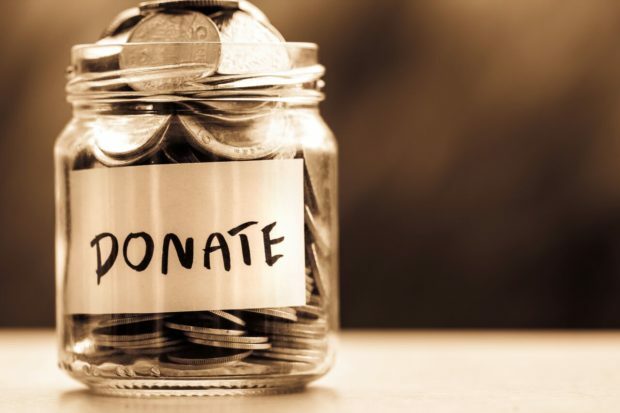 A 2013 report revealed that 65 percent of religiously affiliated Americans regularly give to charitable causes, while among those not connected to a faith community, the number falls to 56 percent. Less than half of Americans who never attend religious services regularly give to a charity, and these tight-fisted atheists often display no interest in any charitable cause – even secular ones. It appears that the link between philanthropy and religion is incontrovertible, which makes Dobkin-Hall’s observation about more stringently religious people being more insular in their charitable habits, or less charitable than their liberal counterparts, rather puzzling. In the Torah portion of Ki Tavo we are presented with what is commonly understood to be a series of blessings and curses — although it would be more accurate to describe the passage as a series of predictions. The ever wise and prescient Moses, his leadership coming to an end, presents the Jewish nation with a menu of options they would face as the Chosen People going forward, all based squarely on their national conduct. But although this seems to be a repetition of Moshe’s earlier guarantee that all would be good if the nation kept to the straight and narrow, this statement adds an additional dimension, which is deliberately worded so that even the most cloistered religious individuals would understand the need to engage with the world around them, even if this exposure risked affecting an elevated spiritual level. The sages of the Talmud interpreted the reference to walking in God’s ways as meaning that one must emulate the model of compassion and benevolence exhibited by God Himself. For example, God “visited” Abraham when he was sick; according to the sages, this means we too must take care of the sick. The issue with generalized munificence is that it can be very time consuming, and it can often mean interacting with unwholesome situations. Those who understandably limit their interactions with the outside world so as to preserve their level of religiosity might very well object to venturing beyond safe territory, even if it is to take part in charitable endeavors. They could legitimately argue that the public domain is a dangerous place, and that the outside world inevitably has a negative impact on anyone who craves spiritual elevation. It is exactly this that Moses wished to address. The fear of coming into contact with the wrong influences while doing good stuff is unfounded, he said. After all, the creation of a physical universe required God to interact with a reality that falls far short of the Heavenly realm, and yet God interacts with it all the time, and He wants to relate to each and every one of us, irrespective of our status or our situation. It turns out that the most obvious translation of Moses’ statement is a mistranslation. The word “kee” in Hebrew can mean “if,” but it can also mean “when.” Moses was actually pledging that God would sustain the nation’s holiness exactly when their observance of His commandments brought them into proximity with circumstances and settings outside of their comfort zone. 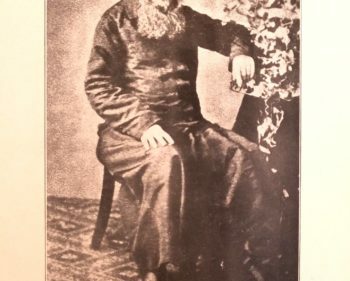 Maimonides writes that while the High Holidays are designated as the time for reconfiguring our relationship with God, even a full-on Yom Kippur, dominated by fasting and praying, can do nothing to repair the damage done to our relationship with God if we have not simultaneously worked on rebooting our relationship with our fellow man. That is why one of the three pillars of Teshuva (repentance), alongside fasting and prayer, is charity. What we can derive from Moses’ statement is that charity is not just about personal interest — like donating money to the educational institutions our kids attend, or supporting causes that turn us on. That type of charity may be generous in its own way, but it carries a hint of self-interest that just cannot be compared to walking in God’s way. Charity is about going that extra mile and venturing beyond the obvious. It is about caring and giving so that others benefit, and so that our concern for others is a reflection of God’s concern for all of us.